Like heroin and many of the other prescription painkillers, oxycodone is synthesized from opioid precursor chemicals that derive from opium poppies and has similar addictive properties. OxyContin is a Schedule II drug, which means it has both a legitimate medical use and a strong potential for addiction and abuse. The abuse of prescription opioids like OxyContin is very common due to their pleasurable and calming effects.9 While oxycodone has been available on the pharmaceutical market for nearly a century, it has only been since the introduction of OxyContin in 1996 that abuse of the substance has been a widespread public concern 1. The surge in oxycodone use and abuse has brought heightened risks, a myriad of health concerns, and a rise in fatalities associated with the substance. OxyContin abuse can be particularly dangerous when mixed with other drugs. OxyContin depresses the respiratory system, which means that an overdose can cause you to stop breathing.9 People with an addiction to opioids often abuse other substances, such as stimulants, alcohol, marijuana, benzodiazepines, and tobacco.13 Combining opioids with other substances, particularly alcohol or benzodiazepines, can increase the risk of overdose. The risk of experiencing dangerous medical complications, such as coma, increases with higher doses of OxyContin. Additionally, those who abuse OxyContin by snorting or injecting it are more likely to have life-threatening consequences. Tolerance (needing more of the drug for the same effect). Physical dependence (experiencing withdrawal symptoms when dose is stopped or reduced). Addiction (problematic pattern of use in spite of interference with functioning). Failure to fulfill home, school, or work responsibilities. Increased risk of overdose and death. Neglect of previously enjoyed hobbies. Interpersonal ramifications, such as loss of child custody or divorce. Vision problems due to pupillary constriction. Mental health issues, such as depression or suicidal ideation. Effects associated with injection drugs, such as track lines, abscesses, and infections, including hepatitis, HIV, and bacterial endocarditis. Intranasal problems, such as nose bleeds or perforation of the nasal septum. Sexual difficulties, such as erectile dysfunction in males. Many of these consequences can be extremely debilitating. Regardless of how long you have abused Oxycontin, there is help available to you. Detox and addiction treatment can provide you with the support and care you need to recover. Prolonged use and, certainly, any abuse of OxyContin will almost always result in the development of a physical dependence to the medication. Dependence occurs when the body acclimates to the presence and effects of a drug. Once a substance dependence forms, it may seem to the dependent individual that he or she requires the drug to feel and function normally. Even people that take OxyContin as prescribed can develop a dependency. Pain in muscles and bones. Strong cravings for more OxyContin. Rather than face the continued discomfort of these withdrawal symptoms, individuals attempting to quit often find themselves relapsing to find relief. Supervised detox can provide the support necessary to avoid potential relapse. Supervised detox can provide the support necessary to avoid potential relapse. How the substance is used (e.g., taken orally or misused via other routes). If the user regularly tampers with the time-release mechanism in order to increase the immediate dose. The particular dose of the pills being used. How long the substance has been used. The goals of the individual. The physical and mental status of the individual. The recommendation of the treatment team. One detox method is an immediate, or “cold turkey” approach, in which the individual abruptly ends all opioid use. This method will bring about strong withdrawal symptoms that may be managed either solely with emotional and therapeutic support (“social detox”), or with certain medications, such as clonidine, to relieve symptoms (“medical detox”). Another approach to detox involves tapering OxyContin. During a taper, the dose of OxyContin being taken will be slowly reduced over time, with the intent of reducing the severity of withdrawal symptoms. Duration of the taper can last from seven days to several months, depending on the agreed-upon treatment plan. Other short-term approaches that are referred to as rapid and ultra-rapid detox focus on speeding up the withdrawal process with the use of a medication like naltrexone, which blocks the effects of OxyContin in the body. At the point of withdrawal onset, additional medications may be administered to sedate the detoxing individual and to otherwise manage them symptomatically.In the case of ultra-rapid detox, the individual is put under general anesthesia during the most uncomfortable portion of the treatment. These options may last for between 1 and 3 days in an inpatient setting. This method is controversial and may, in fact, cause dangerous medical complications in some patients 6. 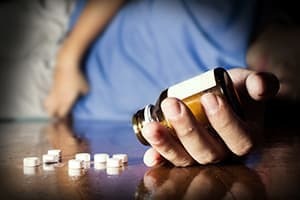 Another treatment option includes stabilizing an addicted individual by first switching them from OxyContin to another opioid substance like methadone or buprenorphine to avoid withdrawal symptoms and cravings, and to minimize the chance of relapse. Since these substances are opioids themselves, they mirror the physical effects of OxyContin without resulting in a pronounced, pleasurable high. In this manner, withdrawal is managed with reduced risk of perpetuating the addictive behaviors that typically accompany the more potent opioid drugs like Oxy. The new substance will act as a replacement for OxyContin to significantly reduce cravings, and will eventually be tapered down itself as the individual progresses through his or her recovery. This usage of medication in combination with behavioral therapy is called medication-assisted treatment (MAT). It’s important to understand that behavioral therapy and ongoing addiction treatment are essential elements of recovery, and that detox and medication should be the start of recovery, not the end. Do I Need OxyContin Detox? Addiction is marked by continued use of a substance despite being faced with the risk of adverse consequences or having already experienced them. Experience increased strain in your relationships. Show decline in work or school attendance and performance. Have increased financial problems from overspending on the substance. Encounter problems with law enforcement. Develop physical health and mental health problems associated with the substance. Experience symptoms of withdrawal when you attempt to cut down or end your OxyContin use. If you recognize these changes in yourself — or if others have commented on the negative effects of your OxyContin use — detox could be an appropriate step towards recovery. Anhedonia (inability to feel pleasure without the drug). If you have been taking OxyContin for an extended period of time or at higher than prescribed doses, you may wish to seek help and support during the withdrawal period. When a person suddenly quits OxyContin, intense withdrawal symptoms frequently result. A detoxing individual attempting to go through this process without supervision and support may experience many uncomfortable and painful symptoms without any means of improving them in the short-term. Without the comfort and therapeutic support of a supervised detox, some recovering individuals may be at elevated risk of relapse. Beyond the medications, a supervised setting can provide support and encouragement throughout the entire process. This social aspect can keep you focused on your goals while helping you resist the urge to return to OxyContin. The staff can provide security and comfort by speaking with you about your concerns during treatment and your worries about life in recovery. Along the way, the treatment team will work to connect you to further forms of treatment based on your goals, supports, and needs. They can also assess any underlying mental health concerns related to your Oxy use and help you create a plan to address these concerns. This might include transfer to a facility that specializes in dual diagnosis — the co-occurrence of a substance use disorder and a mental health disorder. In the case of OxyContin abuse and dependence, detox is an essential step toward recovery. The process can be confusing and overwhelming, though, since there is wide variability between detox centers. The detox center’s treatment philosophy will guide which type you pick. For example, if you prefer to get through detox without the assistance of any medications, you might pick a social (or nonmedical, clinically managed) program rather than medical detox. The location, amenities, and staff qualifications are other key factors to consider when choosing the right detox center for you. Remember, successful addiction treatment encompasses much more than detoxification. Rather, removing the drug from your body sets the stage for you to begin a longer course of addiction treatment and therapy. You may do this in an inpatient setting that offers around-the-clock care and a completely sober environment or as part of an outpatient program. Outpatient treatment programs offer a flexible schedule and allow you to live at home while you attend a set number of hours of therapy per week. 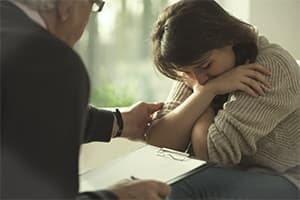 Because you won’t be removed from your normal environment during the course of outpatient care, you may be especially subject to your typical triggers to use, so it will be important to reach out to and/or build a network of people who will support you in your recovery if you choose this option. National Institute on Drug Abuse. (2016). Which Classes of Prescription Drugs are Commonly Misused? Centers for Disease Control. (2016). Prescription Opioids.